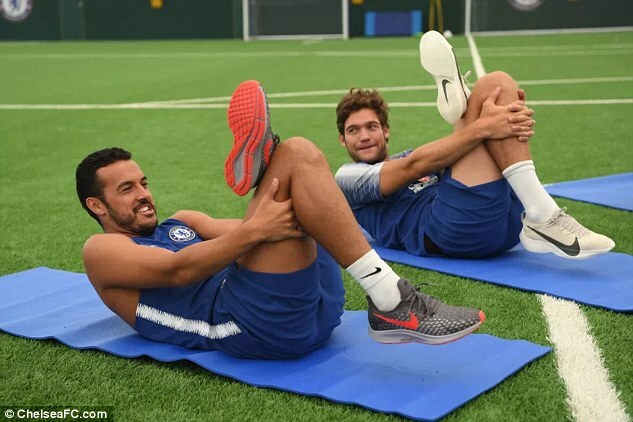 Chelsea’s non-World Cup players returned to their Cobham facilities on Saturday morning for their first pre-season training session and standard procedure medical checks. Numbers were diminished due to several players’ involvement in the World Cup, but those who didn’t feature in Russia were put through their paces with fitness and stretching exercises. Cesc Fabregas posted a picture of him with David Luiz, Emerson Palmieri and Davide Zappacosta in the physio room on his Instagram story as the players went through a number of medical tests after the session. 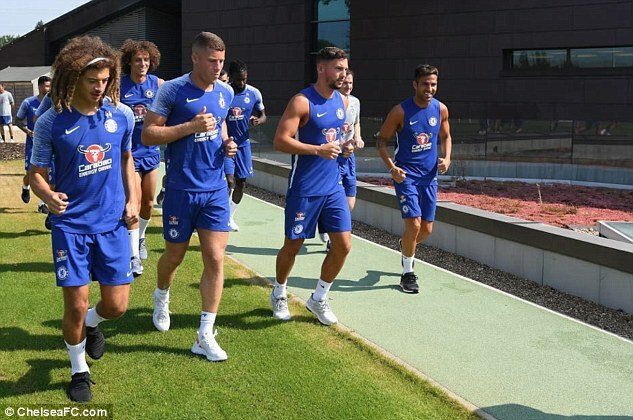 The likes of Alvaro Morata, Ross Barkley, Pedro, Marcos Alonso and Danny Drinkwater were all present for the training session. The Chelsea players had only received word from Antonio Conte’s staff this week that they would be returning for a full pre-season training camp starting on Monday. Conte is still currently in charge, but Maurizio Sarri is expecting to be cleared to replace him as manager of Chelsea at the start of next week. The long-running saga surrounding Conte has rumbled into Chelsea’s pre-season, causing new signings to be delayed as the coach and his staff push for their optimum compensation from owner Roman Abramovich, which is understood to be for a year’s salary and an optional year. The agreement with Conte is in place and Sarri now expects his appointment on a three-year contract worth around £5.6million a year after tax to be ratified on Monday. Chelsea kick-start their pre-season with a friendly against Perth Glory on July 23 before entering the International Champions Cup at the end of the month.